While Alfonso Cuarón and J.J. Abrams are seeing success with Gravity and Star Trek Into Darkness, respectively, their combined efforts with the new TV series Believe is getting off to a rough start, even before a single episode has aired on NBC. Now some the show has been struck with tragedy: one of the show’s writers committed suicide over the holidays. 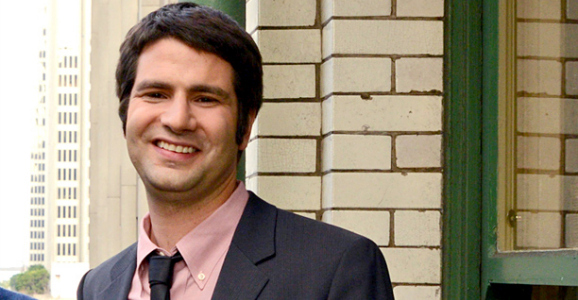 According to Variety, TV writer and author Ned Vizzini passed away in New York City last week at age 32. The New York City medical examiner confirmed Vizzini committed suicide, and the writer’s brother, Daniel, also told reporters that he had jumped off the roof of the building where their parents were living in Brooklyn, New York. Ned Vizzini is survived by his wife, Sabra, and his son, Felix. Ned Vizzini was a staff writer on NBC’s Believe at the time of his death. He also wrote for the TV series Last Resort and Teen Wolf. Notably, he was the author of It’s Kind of a Funny Story, which was published in 2006 and adapted for the big screen in 2010 with actor Zach Galifianakis in one of the film’s starring roles. It’s Kind of a Funny Story was inspired by Vizzini’s own brief hospitalization for depression in November 2004. The young adult novel was later named Best Book for Young Adults from the American Library Association in 2007. Vizzini co-authored his latest book, House of Secrets, with director Chris Columbus earlier in 2013. As for Believe, former executive producer and showrunner Dave Erickson (Sons of Anarchy) recently left NBC’s mid-season show. It’s unclear why Erickson departed the TV series, but Believe‘s co-executive producer and director Jonas Pate is expected to fill in as the series’ new showrunner. Pate is the series’ third showrunner since the original, co-creator and executive producer Mark Friedman, left Believe on amicable terms with the series’ producers earlier in the year. Believe is currently on holiday hiatus, and it will go back into production in New York on January 6, 2014. NBC is still planning to launch Believe in early 2014, as a follow-up to the Winter Olympics programming from Sochi, Russia at the end of February. NBC’s strategy with Believe is to leverage the Academy Award buzz for Alfonso Cuarón and his science fiction space epic Gravity. Believe centers on a young girl with extraordinary powers. Unknown authorities are hunting her, but a man who escapes from prison is tasked with protecting her from harm. The series features actors Jake McLaughlin, Johnny Sequoya, Jamie Chung, Delroy Lindo, Arian Moayad, and Kyle MacLachlan. Kathy Lingg (Revolution, Fringe) will also produce Believe. Alfonso Cuarón directed the series’ pilot episode. While NBC hasn’t announced an official premiere date for Believe, there’s a good chance that the show might air after the Winter Olympics’ closing ceremony on Sunday, February 23, 2014.